Did you know a slice of bread will raise your blood-sugar level higher than a teaspoon of sugar? For centuries, people flourished by consuming bread, however, wheat is not the same today as it was one hundred years ago. In this article you will learn how wheat was altered and why so many people are gluten sensitive. Why has gluten sensitivity skyrocketed in the United States? Fifty years ago, sensitivity to gluten was rare. I believe it is because the human body cannot proficiently digest the gluten in wheat the way it is hybridized now. No longer do tall amber waves of grain grow in the Midwest. Instead, wheat is now only a couple of feet tall, drought resistant, and prolific. Unfortunately, the gluten changed so much that it can induce gluten sensitivity.2 Therefore, I recommend that humans do not consume any wheat products. No waffles, pancakes, muffins, cake, piecrust, pizza, pretzels, bread, pasta—the list goes on and on. 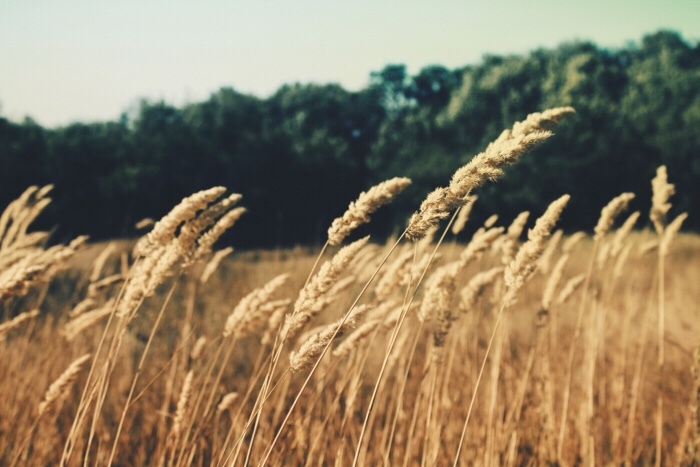 Since gluten in the hybridized wheat is difficult to digest, some individuals become sensitive or intolerant to the gluten. These individuals experience digestive problems when they consume foods with gluten (wheat, rye, and barley). When my sister consumes gluten, she needs to be close to a bathroom for the next twenty-four hours. Her gluten sensitivity blood test (tTG-IgA and IgG) confirmed her sensitivity to gluten. However, gluten sensitivity tests are not always accurate. Another member of my family who is gluten sensitive had the same test with negative results. My doctor confirmed the high incidence of false-negative gluten-sensitivity test results. Instead, he recommended an individual remove wheat and gluten from their diet for a month to determine how sensitive the body might be to these foods. If you want to find out if you are gluten sensitive, fast from gluten for a whole month. This length of time is necessary because the gluten molecule is so large it may take weeks before the body can eliminate it. As you reintroduce gluten back into your diet, note any adverse side effects such as gas, bloating, diarrhea, smelly feces, constipation, abdominal pain, nausea, vomiting, foggy mind, headache, joint pain, depression, nasal congestion, skin problems, fatigue, and autoimmune diseases. If you experience any of these symptoms, gluten from wheat is food you should not consume. If a person’s body does not recognize gluten as food, their immune system attacks the gluten and, unfortunately, their body at the same time. The intestinal lining becomes damaged, resulting in holes in the intestinal wall (called leaky gut). Those holes allow food to enter the bloodstream.3 In turn, a person may become allergic to other types of food as well. It is not surprising that gluten sensitivity is often paired with an autoimmune condition because the body accidentally starts harming its own cells as it attacks the broken-down food particles in the bloodstream. Gluten is in wheat, barley, and rye. Yet breads made of barley and rye are uncommon. Therefore, I believe the gluten culprit comes from the hybridization of wheat and has contributed to a rise of autoimmune diseases in the US. In other words, if you get an autoimmune disease, it could have been caused by a gluten sensitivity you didn’t know you had. This sensitivity could have caused your immune system to get confused and attack a part of your body. Therefore, I recommend anyone with an autoimmune disease not eat wheat. Read Five Steps to Freedom from Addiction by Author and Nutritionist, Susan Neal. If you can’t or don’t want to eliminate bread from your diet, make homemade gluten-free bread to avoid wheat. Try coconut or almond flour. You could also obtain a freshly ground flour made from a nonhybridized whole-wheat berry. Einkorn wheat, a variety of nonhybridized wheat, might be available from a local provider that stone grinds the whole kernel into whole-grain einkorn flour. You can find my einkorn wheat provider and a great gluten-free bread recipe here. Most Americans have no idea wheat has been bred to the point the body thinks of it as a foreign substance. Unfortunately, food manufacturers picked up on the gluten-free trend and created all sorts of unhealthy, nongluten products. Substituting wheat with gluten-free processed foods is not a healthy alternative, since they often contain rice flour, which raises blood-sugar levels. High blood-sugar levels cause a person’s pancreas to release insulin. Increased insulin causes the body to store belly fat. What you eat plays a huge role in gaining fat around the middle. High blood-sugar levels from the wrong foods lead to insulin resistance, type 2 diabetes, and dementia. In fact, dementia is referred to as type 3 diabetes—which is on the rise from consuming too much sugar and processed foods. If you would like to know 24 interventions you can do to prevent dementia, go to Christianyoga.com and check out the pamphlet How to Prevent, Improve, and Reverse Alzheimer’s and Dementia. Delicious unhealthy foods are conveniently available to us. But just because we have access to them and the freedom to eat them doesn’t mean we should. If we understand which products are harmful, we can avoid them. As you eliminate processed foods from your diet you should consume more whole, organic fruits, vegetables, whole grains (oats, brown rice, quinoa, barley), nuts, seeds, beans, fish, and meat. William Davis MD, Wheat Belly (New York: Rodale Inc., 2011), 24. Hetty C. van den Broeck, Hein C. de Jong, Elma M. J. Salentin, Liesbeth Dekking, Dirk Bosch, Rob J. Hamer, Ludovicus J. W. J. Gilissen, Ingrid M. van der Meer, and Marinus J. M. Smulders, “Prescence of celiac disease epitopes in modern and old hexaploid wheat varieties: wheat breeding my have contributed to increased prevalence of celiac disease,” Theoretical and Applied Genetics 121(8), (November 2010): 1527–39, https://www.ncbi.nlm.nih.gov/pmc/articles/PMC2963738/. “Candida Yeast Infection, Leaky Gut, Irritable Bowel and Food Allergies,” National Candida Center, https://www.nationalcandidacenter.com/Leaky-Gut-and-Candida-Yeast-Infection-s/1823.htm.